On Friday 22nd March we gathered to share 2 minutes silence with the rest of NZ. We remembered those who were affected by the horrific attacks on Muslim community in Christchurch. We reflected on our feelings of grief, solidarity and love. Last Friday 8 March the Hurricanes had their first home game of the season! We were given the opportunity to provide young people to form the Guard of Honour as the Canes and Highlanders ran on the field! Our tamariki were so excited, despite the wind and rain! They waved their flags furiously and cheered as the players ran on the field. Our resident artist Jacob Bang designed a Hurricanes inspired Challenge logo, also acknowledging International Women’s Day. Our partnership with the Hurricanes this season is very exciting and we hope this will lead us to the championship final! Prior to the game last Friday we also had an opportunity to take young people aged 13-16 from Bishop Viard College, Mana College, Porirua College and Aotea College to Rugby League Park for a 2 hour training session with 3 of the Hurricanes. The young men thoroughly enjoyed their time with the inspiring Ardie Savea, Ben Lam and James Blackwell. The session focused on some skills training, some touch, a tour of the Hurricanes base and some photo ops & signing at the end! The young men left RLP absolutely buzzing, especially when Dane Coles showed up right at the end just in time for some photos! We can’t wait to host the Hurricanes whānau at our whare next time! Happy New Year from Challenge 2000! 2019 will be another big year for us and we are looking forward to all that it brings… hope, love, challenges, inspiration and change. We have got lots of exciting things on the go, including our school holiday programmes which are in full swing with our young people having a ball! Love works is a motto you will often hear at Challenge 2000. We believe in going the extra mile to support young people, families and communities who are struggling. Our people and financial resources have been stretched this year, as our team worked with people struggling because of financial difficulties and mental health distress. The increased number of youth suicides impacted particular communities in which we work. So as we reached Christmas we were feeling pretty exhausted. Then we were all overwhelmed by the tidal wave of support, love and generosity provided by Wellingtonians. THANK YOU… for the food, the meat, the vegetables, the essentials, the toys and the money that you generously donated. Thank you for those who helped with the wrapping, the messages and the drop offs to our families. You have lifted our spirits and perhaps unknowingly brought a sense of hope not only to our families, young people and children who needed it but also to us. Particular heart shots for us – the pensioner who donated hams for our hampers, the little girl who shared her dummy with baby Jesus, the Wellington Police who came with presents and Police puppies to share and to entertain, the family who had saved pocket money to buy healthy juices, the Catholic Priest who dropped off a $1000 cheque, the companies who deposited to our bank account and to the families who sponsored less well off families. Thank you, thank you, thank you! You probably have no idea the impact you have had on both Challenge 2000 and those whom we serve. When the end of the year was a matter of survival, you helped us celebrate and relax. We wish you a very happy, safe and loving Christmas. Be careful on the roads, respect yourself and others and take a few moments to reflect on how love works. Christmas Action – donations for hampers! On Sunday 23rd of December we will be delivering 120 hampers filled with fresh produce, meat, and gifts that our children and young people really need and will enjoy. If you would like to sponsor a young person or family and make a direct difference, then please donate by selecting an item off the tree. The trees represent the Christmas wish list for our families. ‘Tis the season of joy and giving. If you would like to donate for us to purchase on your behalf please reference “Xmas action” 01 – 0519 – 0057660 – 00 💜🎁✨Donations can be dropped off to our premises at 1 Wanaka Street Johnsonville or call Megan on 044776827 and we will come and collect them! Come join us on Saturday 17 November! Bring your family and friends along to experience various events at the Historic Halfway House in Glenside. The events includes festivities of songs, drama, show and tell of historic memorabilia, picnic lunch, games for children, NZ World War songs, and a chance to have a go at traditional spinning and hand knitting. Come join us at The Halfway House, together we will read, reflect and enjoy poetry from the First World War. Bring your favourite poem to read aloud or enjoy some of our favourites including Katherine Mansfield’s ode “To L. H. B. (1894-1915 )”. Spinners and Knitters- 10:00 am to 3:00 pm Saturday 27 October. Traditional spinning and hand knitting by women of the Onslow Fibrecraft Guild and Tawa Fibrecrafts. Honouring the women and school children who knitted scarves and socks for the troops at war. Have a go at spinning and/or knitting. Handcrafts for sale. Free entry. Cup of tea and Anzac biscuit available (koha/donation to cover costs). A Peace Celebration – 10:00 am to 3:00 pm Sunday 28th October. Stories, song and drama about life on the home front during the War. Free entry. Old style children’s games. First World War sing-along; “Show and tell” your WWI memorabilia; Heritage Gardeners plant stall. Twigland Gardeners World – pot up an heirloom tomato. 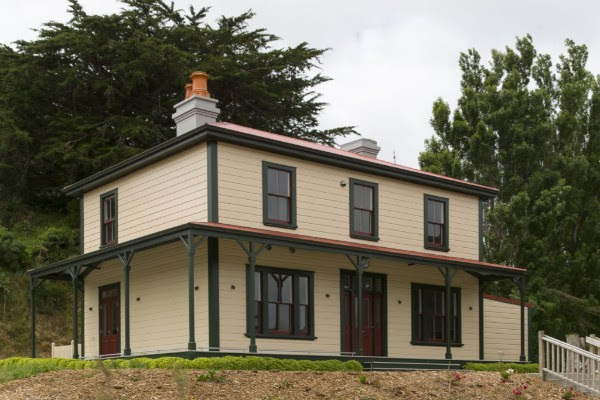 Historic house tours (koha/donation entry). Food and drinks of the WWI era available to purchase. Free Entry / Koha Welcome. No booking is required. HopeWalk Wellington 2018 suicide awareness and prevention walk is a free event hosted by Samaritans Wellington. The aim of HopeWalk Wellington 2018 is to raise awareness of the devastating effect suicide has on families in our community and to raise awareness of suicide prevention support available. Last year 668 people in NZ died by suicide. It’s time to take a stand. No one person or group has the solution to suicide prevention, but we are #StrongerTogether. This year, to mark Mental Health Awareness Week, join us at HopeWalk Wellington. The theme for Mental Health Awareness Week this year is “Let nature in – strengthen your well-being.” What better way to strengthen your well-being than by getting together with family and friends, wearing yellow (the colour of hope) and joining the HopeWalk march to raise awareness for suicide prevention in the beautiful natural setting of the Wellington Botanic Gardens.